Megan Elvrum: #CANTCLUTCHTHIS March: Finding MY Girl Power! 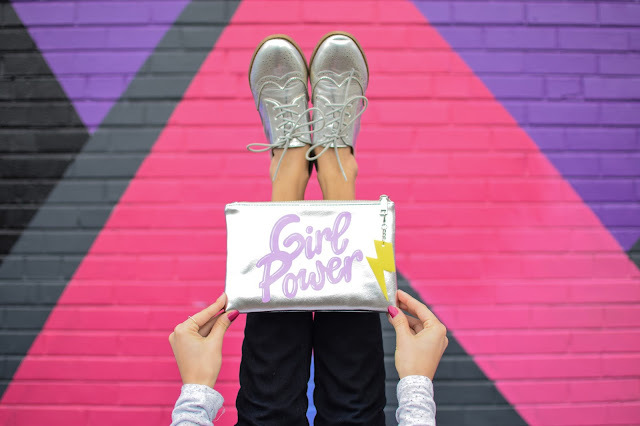 #CANTCLUTCHTHIS March: Finding MY Girl Power! 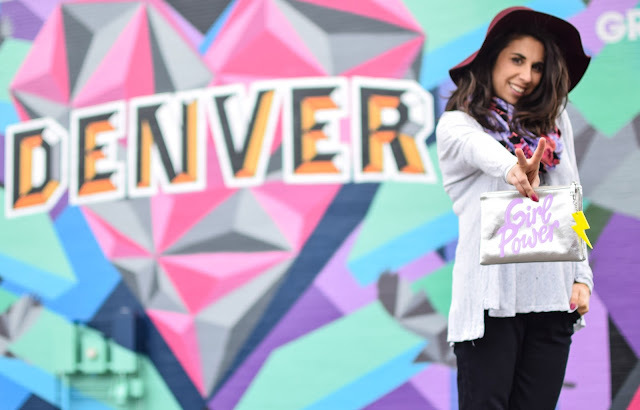 Thank you to the wonderful Ocean Eyes for taking time to happily take some pictures of me with my clutch! He's the BEST! 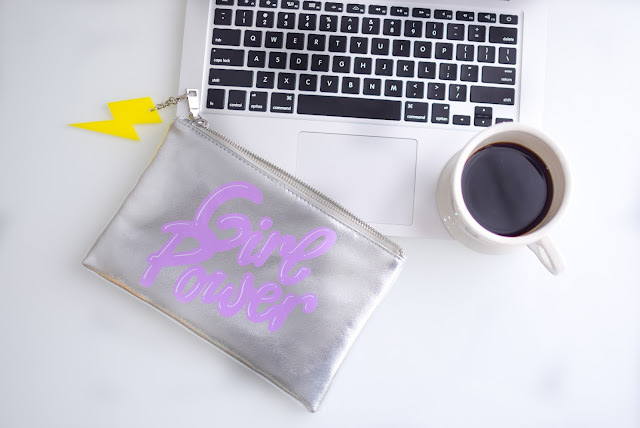 I love that every month I also get to change up my purse and that I get to have something that I'm excited to be creative with. 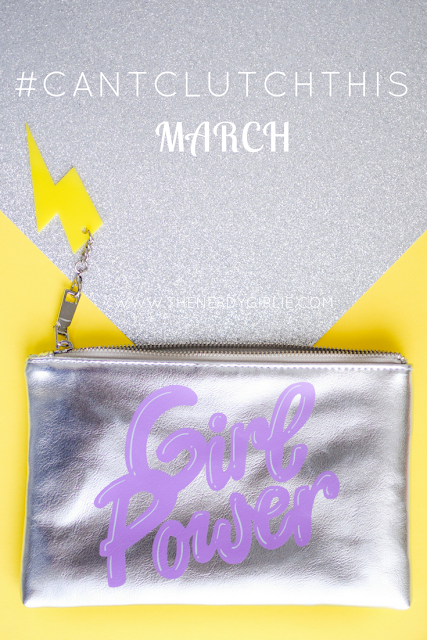 This month's clutch is all about Girl Power as you can see! I've been struggling to get through my 2nd draft of 100 Cups Of Coffee. Today is the day I'm going to finish it and pass it off to my editor. What's the most difficult is reliving everything hard that has happened in the past two years. I dream about it so much more that I'm working on my book again. BUT it makes me SEE what I have worked so hard to achieve. I've celebrated my one year anniversary of moving by myself half way across the country to Denver. Of working a HARD job I hated for the first few months and working a GREAT job ever since. I feel the definition of Girl Power really applies to me. Ever since I was little I LOVED the Spice Girls and imagined having Girl Power. Now I do. I hope that I can continue to grow, continue to share my stories without hesitation and to spread the girl power I've obtained! Thank you for being there nerds! 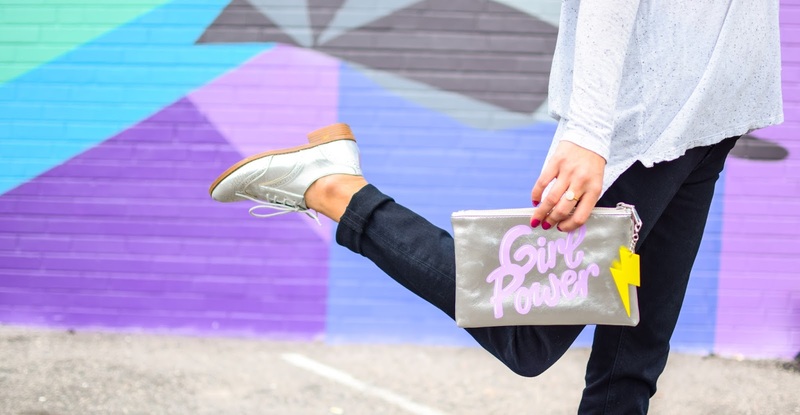 And let's all celebrate our Girl Power!! !